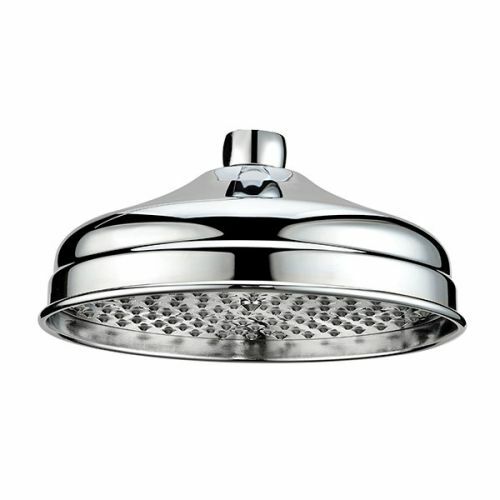 At 200mm in size this apron style shower rose head from Shield results in the perfect showering experience. It looks wonderful and will compliment a period style bathroom and yet only needs a low pressure setup to work efficiently. The chrome plating is thick, bright and will last for years. Plenty of water outlets also ensure the shower properly drenches the person below to leave you feeling refreshed and invigorated. Ultimately this shower head is made from premium materials with a standard connection to fit to any wall or ceiling mounted shower arm.